From the Editor's Desk: Time to buckle up and buckle down! Where do I even begin? I know. I'll start with the photo above. Friday night I was in San Francisco and had a great evening out on the town drinking the agony of Thursday's BlackBerry 10 delayed until 2013 news away. Flying home Saturday, it was mission accomplished - the bad BB10 news was temporarily drowned out as my thoughts turned to the hangover I was nursing. Reality kicked in again on my three hour layover though. Walking past the BlackBerry store, which normally has at least a few people in it whenever i walk by, I noticed it was empty. After grabbing a quick bite I walked by again. Still empty. I then sat down on a chair in the concourse and worked on my laptop and watched. Over two hours went by and a total of zero people walked in. Yes, it was a Saturday, which is a quieter day at the airport with less business travelers, but during the same time I still observed a fair amount of people checking out the all-brands gadgets retailer on the opposite side. The scene summed up quite well the challenges RIM is facing (especially in the US). Eventually I couldn't take watching this lonely guy sweep the floor anymore so walked in and bought a stylus since I had just managed to lose mine that week (shameless plug - we definitely have a better selection and pricing on styluses at ShopCrackBerry). Seeing this article today, it sounds like the guy at the Farmington Hills store is just as lonely. The takeaway from this experience? It's already been a bumpy ride for Research In Motion these past 18 months, and with last week's news that new phones won't be out until 2013 things are going to get even more turbulent for the company and its employees. And unfortunately, trying to hide from the challenges or sugarcoat the situation (or forget about it as I tried to do Friday night) won't work. There's only two things for RIM to continue doing. Buckle Up for a bumpy ride and Buckle Down to get the work done. Either RIM is going to get the BlackBerry 10 plane built while flying and arrive to its destination safely, or it's going to crash and burn. We need Super Dan and the QNX/RIM Ottawa team to deliver Super Hero Effort! Research In Motion Ltd. is limiting summer vacations and ordering six-day work weeks for many of its Ottawa staff as it scrambles to push out its much-promised BlackBerry 10 operating system. 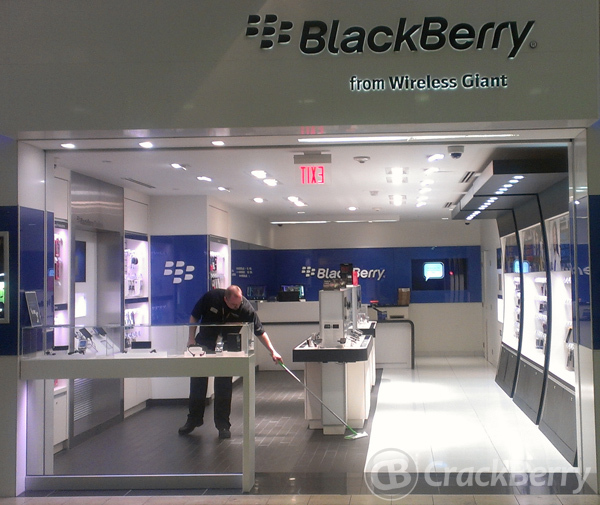 Ottawa is the "epicentre" of development for RIM's upcoming BlackBerry 10 (BB10) devices and software. The company, which this week delivered a bombshell announcement that its next generation of smartphones will be delayed until next year, confirmed Friday that the intensified work hours are due to the focus on getting BB10 out to market. "The successful launch of the BlackBerry 10 platform, and the delivery of high quality, full-featured BlackBerry 10 smartphones, remains the company's No. 1 priority; and we're incredibly proud of the commitment shown by all RIM employees as we work toward this goal," a RIM spokeswoman said in a statement. The heart of BlackBerry 10 development lies in Ottawa, which is where Dan Dodge's QNX team lies. From the sounds of it, this is the bottleneck in the task of bringing BlackBerry 10 to market. 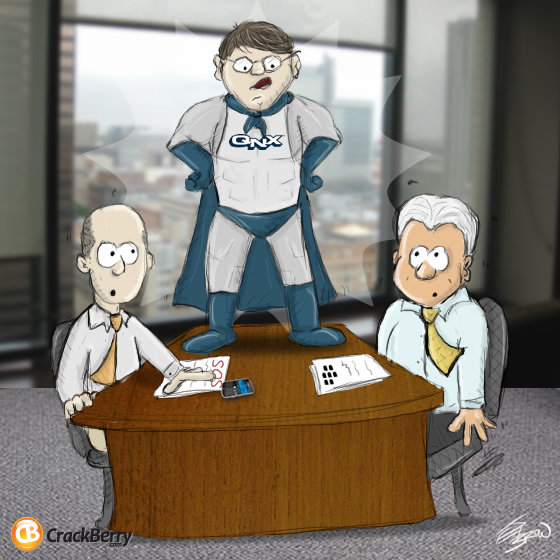 We've referred to Dan Dodge as Super Dan before, and we're really hoping him and his team can deliver a super hero effort over the summer months and into the fall to get the work done quick. Every day that BlackBerry 10 isn't on the market things only get more difficult for Research In Motion. These guys are smart. These guys know that. It's all about executing. I hope nobody on the QNX team is reading this article... they have work to do! There are a bunch of topics we want to dig into this week on the blogs related to the delays, RIM's challenges, RIM's hopes and more. I don't want this to get too long, so we'll leave this discussion for now at the fact that RIM HAS TO HUSTLE. Productivity Win or Douche Bag? I'm thinking the latter... find out in the full review coming soon! Long Hair: I committed at BlackBerry World that I would grow my hair out until BlackBerry 10 phones hit the market. I was banking on October at the latest for this. Now I'm scared. The above was my hair on Friday. If BB10 = March 2013... geeeez. I don't know what to expect. Hurry RIM, Hurry! The GoJo: After knocking the GoJo hard on the blogs as the worst mobile accessory EVER, I had to buy one for myself to give it a try. The full review is coming soon. Will I be able to hold a laptop to my head? You'll find out soon! Google I/O: I was in San Francisco last week with Phil, Alex and Jerry from our Android Central team taking in the Google I/O experience for the first time. Since I'm using Android right now as part of the Mobile Nations World Tour, hitting up a conference felt like a no brainer. It was a really interesting week for me in a lot of ways, from using my HTC One X roaming in the US (data hog! ), to hanging out with a bunch of Android fans, to seeing how Google puts on a show. You can catch the debrief video below and I'll be reporting on some of my insights soon here on an upcoming Mobile Nations World Tour podcast and post. While we're going to have to deal with a lot of less than stellar news and that kind of thing on the BlackBerry front directly on CrackBerry over the months ahead (don't worry, we'll make sure there's a lot of good stuff happening too), overall I have to say I'm super excited about where things are heading. I think most of you should know by now that CrackBerry is not a standalone entity. We're part of Mobile Nations which includes other leading mobile sites like AndroidCentral, iMore, Windows Phone Central and webOS Nation. Just as CrackBerry is to BlackBerry, within their platform niche each of these sites is a leader. Add it all up and we really do have the broadest and deepest footprint in mobile today. Just over a year ago now, in addition to the role of Founder and Editor in Chief of CrackBerry, I became the Chief Media Officer for Mobile Nations. When I'm not tossing up stories on CrackBerry, behind the scenes the work never stops and we've all been working our butts off on a lot of great initiatives that are going to take what we do on all our sites to the next level. We've already accomplished a ton in the past 12 months as our sites continue to evolve and grow, but there's still soooo much coming. The latter part of the year and into 2013 you'll see us put our foot down on the accelerator pedal. So even if the BlackBerry news gets a bit quiet and we won't have new phones to get excited about and review for a while now, we won't sit still waiting. 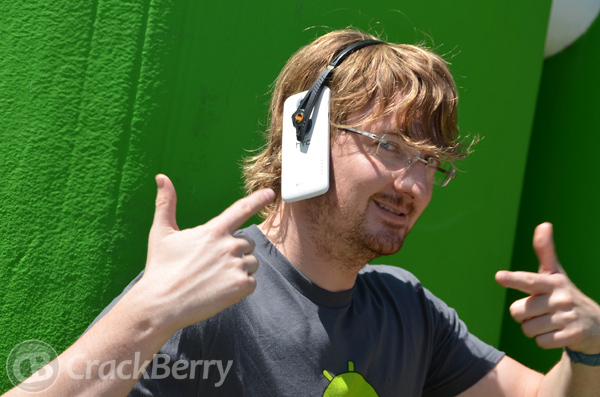 We'll be hustling like crazy - by the time the phones get here you'll have a CrackBerry that's better than ever.